Here at Canyoneers our world revolves around Grand Canyon year round. Our 2011 river season doesn't begin until April 17, but Sheri, Steve, John, and Joy are in the office and River Shop full time getting ready. Our river guides that live locally during the winter stop by occasionally to see how things are going and to talk. 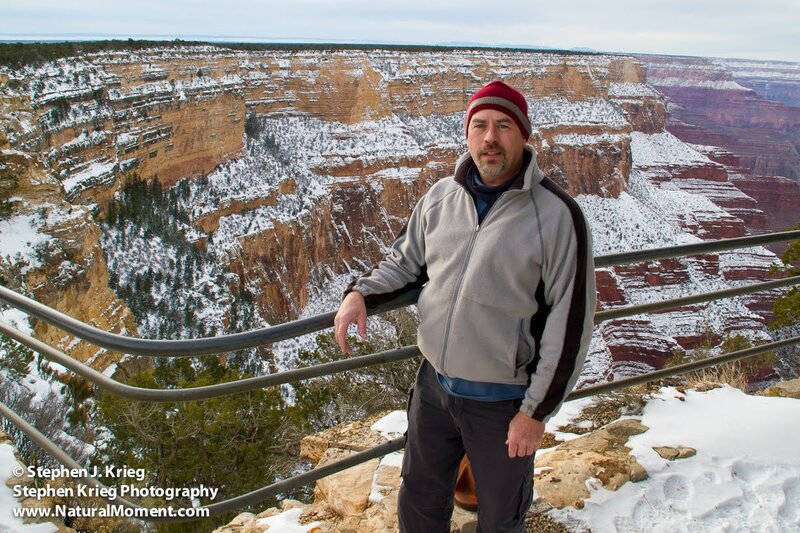 Steve Krieg (in this photo), whom many of you have become familiar with this past year by having talked with him on the phone about reservations for 2011 river trips, loves to go to the South Rim when there is snow. He prowls the overlooks searching for new photos, and does some hiking as well. 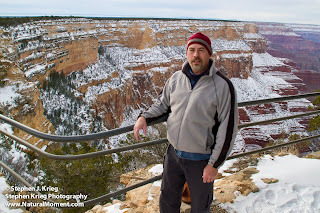 Here he is at the overlook called The Abyss, which is on the Hermit Road west of Grand Canyon Village. He especially likes the Hermit Road in the winter, because visitation is light enough that the Park Service allows people to drive it instead of taking the free shuttle buses. We are filling fast for our 2011 season. So if you want to take a Grand Canyon river rafting trip, call us as soon as possible at 800-525-0924 or 928-526-0924 to check on availability for your preferred dates, and to let us help you decide which type of trip to take.